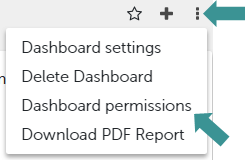 What are "Dashboard permissions"? 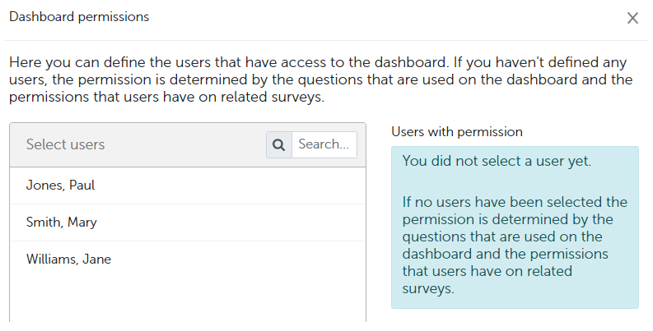 When you add a user to the Honestly account, you give them access to particular surveys/employee groups and automatically, they will be granted access to the dashboard of those things. In this example, Jane Williams is the only user who will be able to see and subscribe to this dashboard. Both Paul Jones and Mary Smith will only be able to view the questionnaires, surveys and employee groups but not the associated dashboards.